What If A Creditor Tries To Collect On A Debt After I Have Filed For Bankruptcy? When you file for bankruptcy, the court imposes something called the ‘automatic stay.’ The automatic stay is the protective shield that the court wraps around you after you have filed. It protects you against your creditors trying to collect on the debts that you previously owed. This means they can no longer call you, or sue you on the debt, or even mail you a letter. It literally prevents the creditors from ever again having contact with you ever again. Now does that mean that there aren’t creditors who will in fact violate the automatic stay? Of course there are! My office has filed many Motions to Enforce the Automatic Stay, coupled with sanctions, punitive damages, and attorney fees. Creditors will from time to time call an individual who has already filed a petition, and demand payment. Even when they are reminded of the fact that a bankruptcy has been filed, several of the collectors will state that they don’t care, or that they still have the right to collect on the debt. None of this is true, but the more aggressive collectors will pursue a debt, even when doing so is in clear violation of federal law. The remedy is simple: A motion is filed with the court stating the facts as they occurred, how such conduct was in violation of the statute, and then what kind of damages should be assessed. The creditor is free to defend their conduct if they wish, but they would have to make the argument that going after the debt after a petition for bankruptcy relief was filed was just and right. And how they would make that argument I have earthly idea. 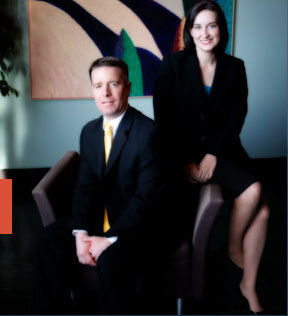 The St. Louis bankruptcy attorneys at Brinkman & Alter, LLC have been making sure that our client’s rights are protected. When a creditor violates those rights, we go after the offending creditor. It’s just that simple. Our staff is prepared to guide you through this process, and make sure that you receive the fresh start / clean slate that you deserve.